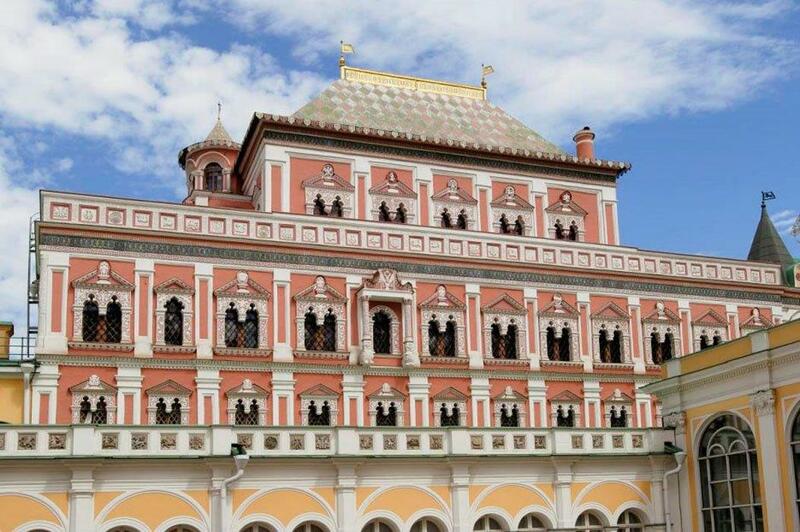 The first stone living quarters in the royal palace, later named the Terem Palace, was built in 1635-1636 for Tsar Mikhail Fyodorovich by master masons Bazhen Ogurtsov, Antip Konstantinov, Trefil Sharutin and Larion Ushakov. The lower tier of the palace's northern part built in 1499-1508 by Alevisio Novi as well as the Workshops built over it in the second part of the 16th century became the base for the three-storey chamber. Traditional features of Russian wooden architecture caused the building's stepped construction. Nevertheless, it turned out to represent a new type of a multi-storey brick house that already formed enfilade structure of inner rooms. Traditional features of Russian wooden architecture caused the building's stepped construction with ambulatories, galleries, porches and stairs. Nevertheless, it was representing a new type of a multi-storey residential building made of brick, already generating an enfilade structure of indoor premises, which became typical for later palaces. Three tiers to the Terem were surrounded by three ambulatories. 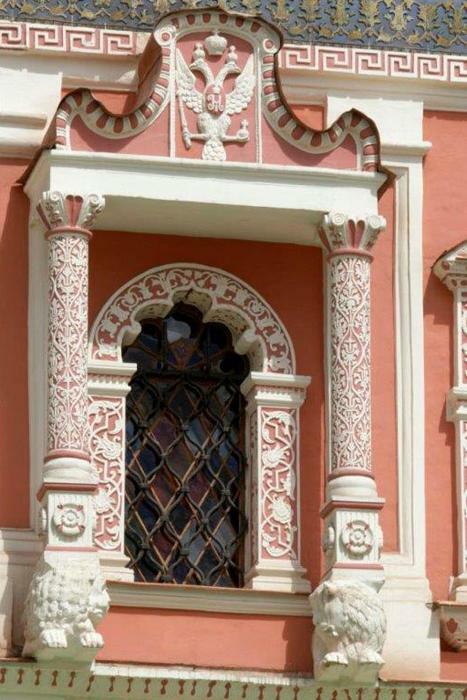 A complex layout and rich decoration of its façades make the palace exceptionally picturesque and ornate. Everything blends in nicely—profiled pilasters between the windows, cornices with carvings and majolica, complex white-stone framings with drop ornaments and triangular frontals with carved decoration, tiles and carvings on the decorative brickwork of parapet walls of ambulatories and a gilded roof. In whole, it makes an impression of a jewellery work. Original interiors, excepting separate fragments, didn’t survive. 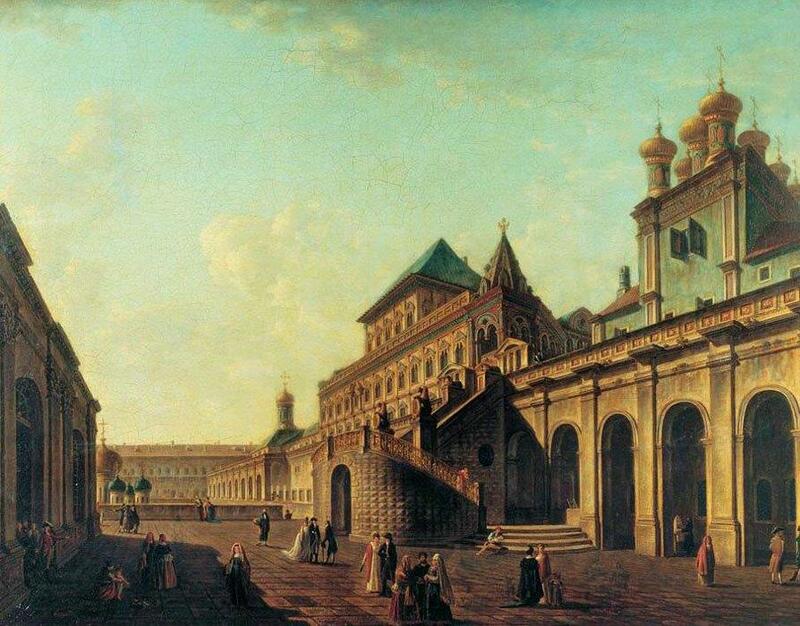 They were created anew in the 17th-century style under the supervision of painter Feodor Solntsev in 1836-1837. Later, due to the construction of the Grand Kremlin Palace, this ancient monument was included in the new complex of palatial buildings. 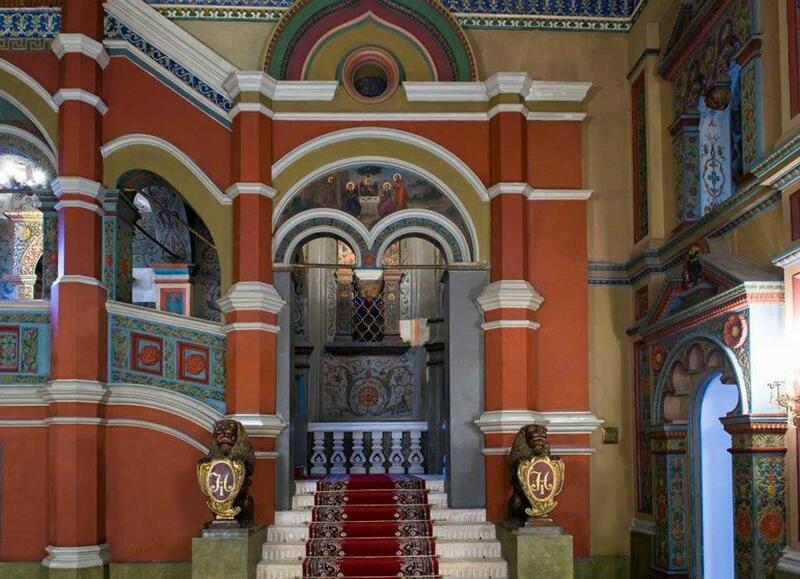 The Terem Palace was restored in 1966-1969. Nowadays, the Terem Palace, being a part of the Grand Kremlin Palace's complex, represents the residence of the President of the Russian Federation.